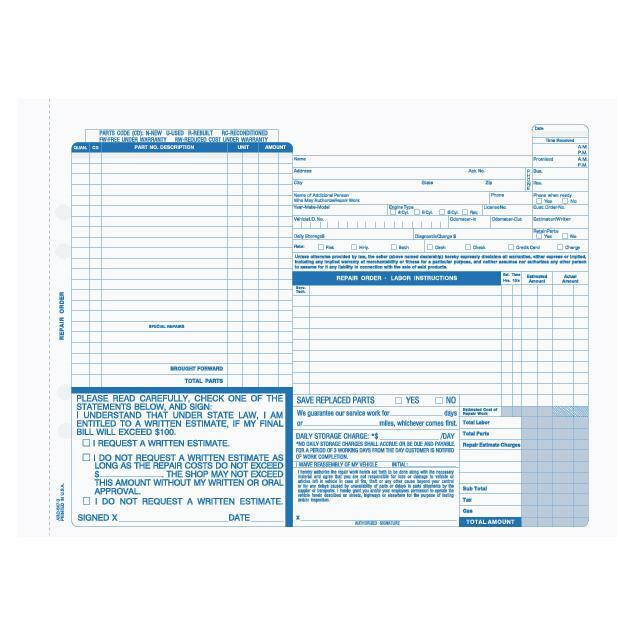 You can order this repair form Imprinted or blank. 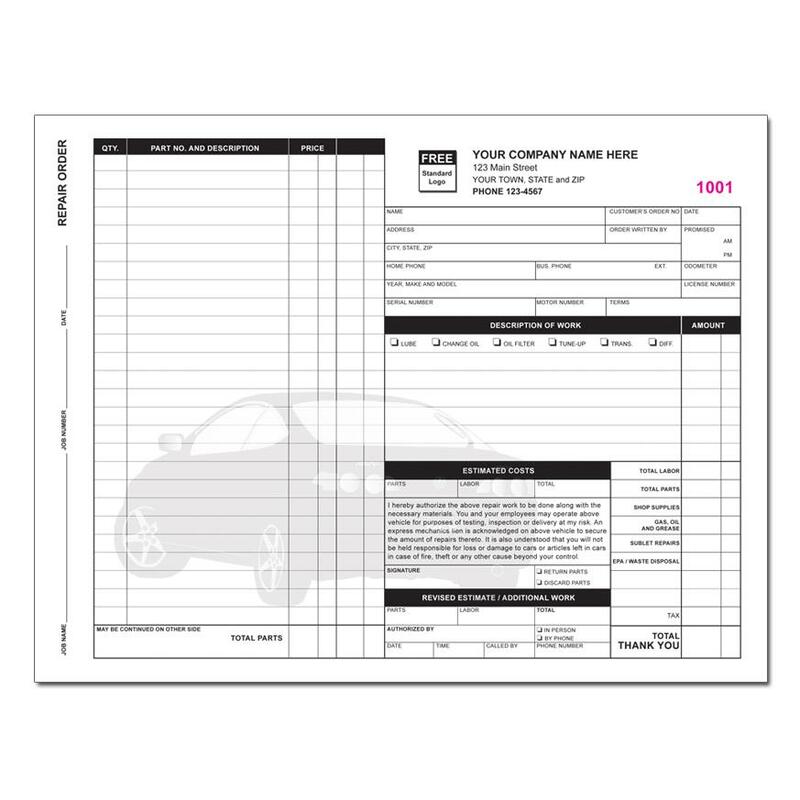 This form can be numbered or customized with your logo and business information at no additional cost. 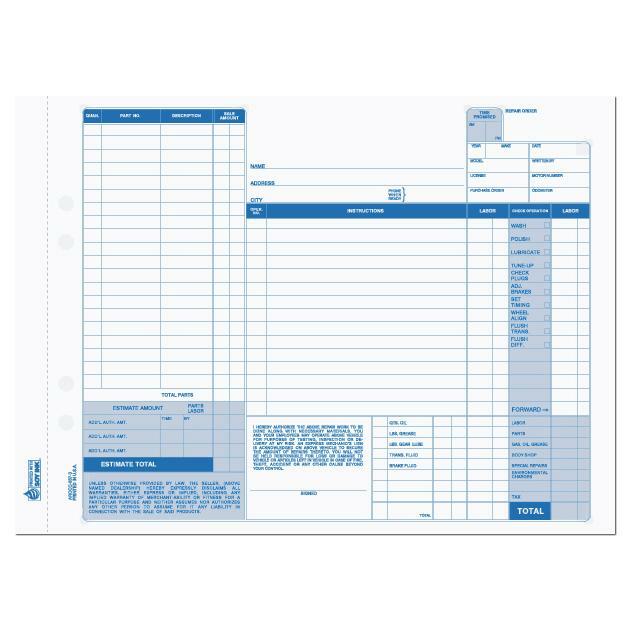 It's pre-printed in 4 parts and the imprint area can be personalized with ink colors black, blue, red or green. If your imprint requires a logo, select the location (relative to your artwork). 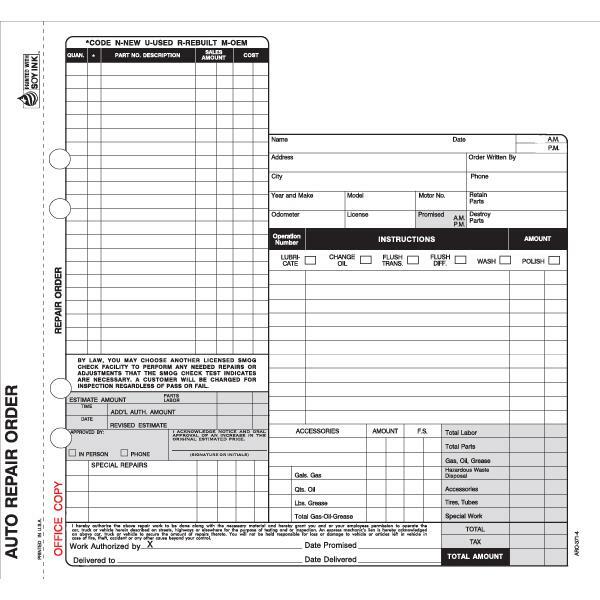 Note: Custom logos will be printed in the imprint color selected in Step 2. Logos may be sized to fit area.